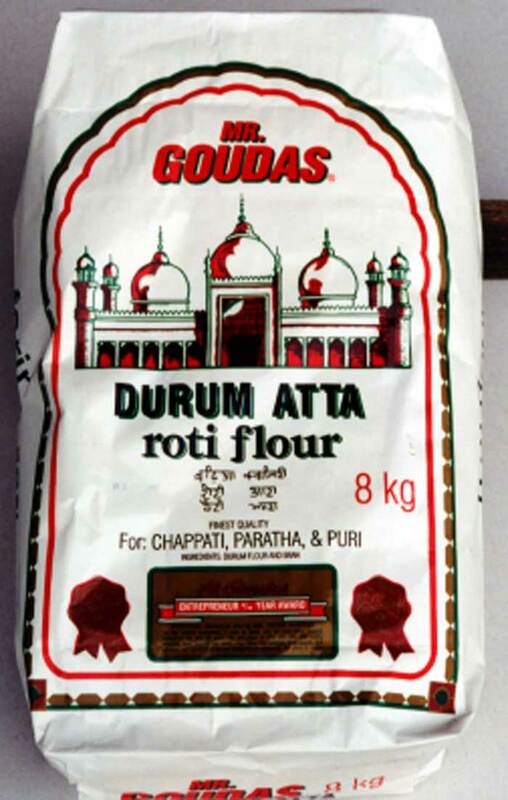 Atta flour is an ideal product for East Indian cuisine and GOUDAS FOODS developed this product for that specific market. The response from these consumers has been very positive. The time that one can eat anything is gone. Eating habits will have to be modified to accommodate healthy eating habits. It is sometimes very difficult to determine what is right and/or what is wrong!! In the case of the all-purpose flour, recently sales decline because of the of LOW CARB diets. The main factor in this decline is the fact that people have realized that they are TOO FAT. The obesity level has been rising with the aging population. This leads to diabetes, heart disease, kidney failure plus the lack of enjoyment of life. Do you know what this is? 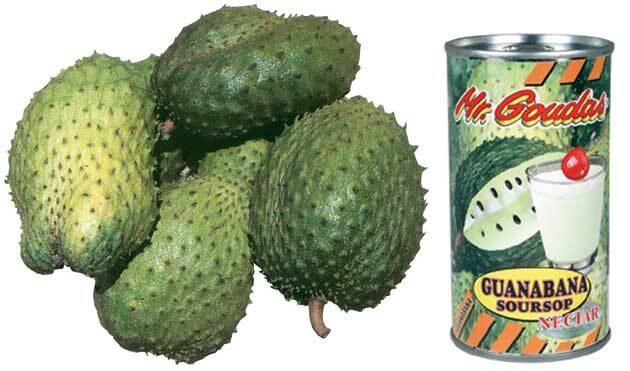 Although this product doesn't look familiar to many, it is a fruit named Guanabana (or Soursop). This is a delicious tropical fruit! The interior flesh is white, with soft, cottony strands that contain many seeds. Because the flesh is tart, it is desirable for icicles and ade drinks. It is an important fruit in Puerto Rico and other tropical American areas. Goudas foods thought that it would be a wonderful idea to make a nectar out of this fruit, and named it Guanabana Nectar. This is one of the many exotic fruits that Mr. Goudas has used for his nectars and juices, with great results! Jackfruit: The Fruit with a Fan-Club of its Own! 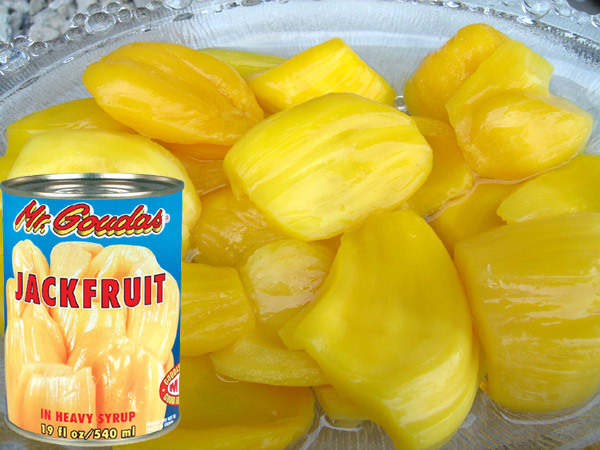 When Goudas Foods undertook the initiative to bring Jackfruit to Canada, for the first time designated for commercial use, this fruit was unknown to the Canadian consumer. However, the company was prepared to introduce an interesting product. For more than 3 years prior to this introduction, Mr. Goudas went through thorough preparation and processing with farmers and canners in Thailand, to ensure only the best quality Jackfruit would be imported. When fully ripe the Jackfruit emits a strong disagreeable odor, while the pulp of the opened fruit smells of pineapple and banana. At this stage, the bulbs and seeds are removed. It is preferable to perfom this task outdoors to avoid having the "stink" permeate the home. The pulp of the ripened Jackfruit is pale yellow in colour. It may be enjoyed raw, cooked in Mr. Goudas Coconut Milk, made into ice cream, chutney, jams and jellies. It may also be canned in syrup. Our confident prediction is that Jackfruit will slowly grow in the hearts, and most importantly stomachs of the local consumers. As Mr. Goudas himself says, "this product is not the most popular fruit here; however, it has a unique taste, very special characteristics, and soon it will have its own loyal customers". It would be no surprise here at Goudas Foods to see the day when Jackfruit will develop a fan-club completely of its own. This Picture was taken from the Eastbound 407 highway portaying the rear view of Goudas Foods' additional building and still maintaining the existing location. The reason for the occupation of the additional building is because it is located asside the Canadian National Railway yard, this enables the company to maneuver trains with any commodities from grain to liquid products 24 hours a day. It was All Worth the Effort! 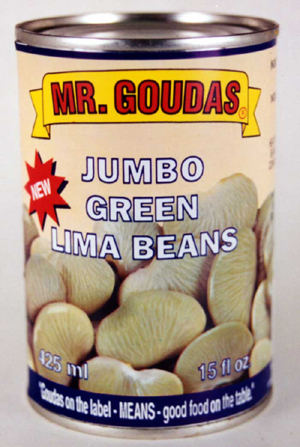 Green jumbo lima beans canned was a wonderful product! despite the high cost of selecting the best green lima and manually inserting into cans along with other details of the canning process. When he brought them to Canada, he had to wait for 6 months or more until the grocery stores head offices listed them; he then had to demonstrate the product to his sales force, instruct them to open cans and ask the store managers to try them. Another problem was to allocate shelf space at the stores. Finally, this product gradually appeared in all super market shelves at a retail price of $1.99, which is just enough to cover production costs and the store's small margin. This recipe is special not only because it is a major food in Asia (Chickpeas, water, and salt). It is the great thought and care that was put into producing this soup that makes it special! We hope you will enjoy it! 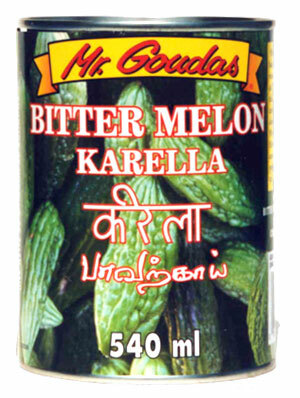 Bitter melon or the very common word "Karella" or Bitter Cucumber, has been known to the Far East & South East Asians as a substitute for INSULIN. 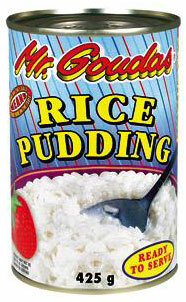 In the spring of 1994, Goudas Foods started communicating with the canner along with their farmers in Thailand. After long research, Goudas Foods was able to create this magnificent can. The story of this product can be seen inside the Goudas section, under the "products" category, under "vegetables" in cans. MR. GOUDAS WAS PERSONALLY INVOLVED ON THIS ITEM BECAUSE HE THOUGHT THIS PRODUCT WOULD BE HELPFUL TO MANY. Under the direction of Rob James, Bob Graham, Mike Mirenegeli (formerly a Miracle Food Mart executive) Rahib, and well respected executive Mr. Terry Buckley, Goudas Foods modified the first Food City store to Price Chopper, which is a discount style store. Goudas Foods along with other brands such as, Blue Lake, Lion brand, Mamma Lucia, Pride of Himalaya, Cakemaker, Lentilino, Tourlou-Tourlou, Star brand, Speedy Rice, Heavenly Bite, Garlito, Jewel of the Indies, Golden Feather, Tiranga brand, Tai-Tai brand, Snappy pop, Spinorizo, Golden Phoenix, Golden Dragon, Bambolino. Brand names such as Sardo, Aurora Foods, Grace Kennedy, Montini, S & F, Krinos, as well as other well-known names, helped to enhance the rich variety of products carried by the store. At the time, Price Chopper decided to focus more on Brand names such as those above. The capable Mr. Bob Graham, personally assigned the responsibility of properly aligning and rearranging the first Price Chopper store to Mr. Goudas. Over the years, Mr. Bob Graham, and Mr. Terry Buckley grew Price Chopper stores as one of the key players in the Ontario market. At the surprise party, held for Mr. Goudas' 30 years in Canada, friends gather to wish Mr. Goudas a Happy 30th Anniversary! 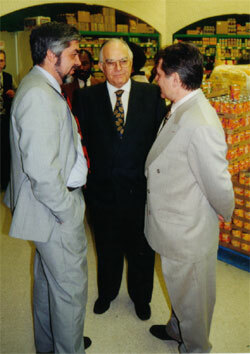 On the left side, Mr. Spiros A. Haliotis of Gentro Foods Inc. & on the center Mr. Lenio Montini; both longtime close friends of Mr. Goudas. Mr. Montini is a popular household name under the "MONTINI" brand in the Italian Community, and a major Oil Packer, along with many varieties of imported Italian products. Mr. Haliotis is an International Food Broker. More details in the Archive section, on Mr. Goudas 30 year in Canada celebration. The designing department at Goudas Foods is one of the most important departments, where imagination, creativity, and certainly good and smart taste bring up amazing labels. 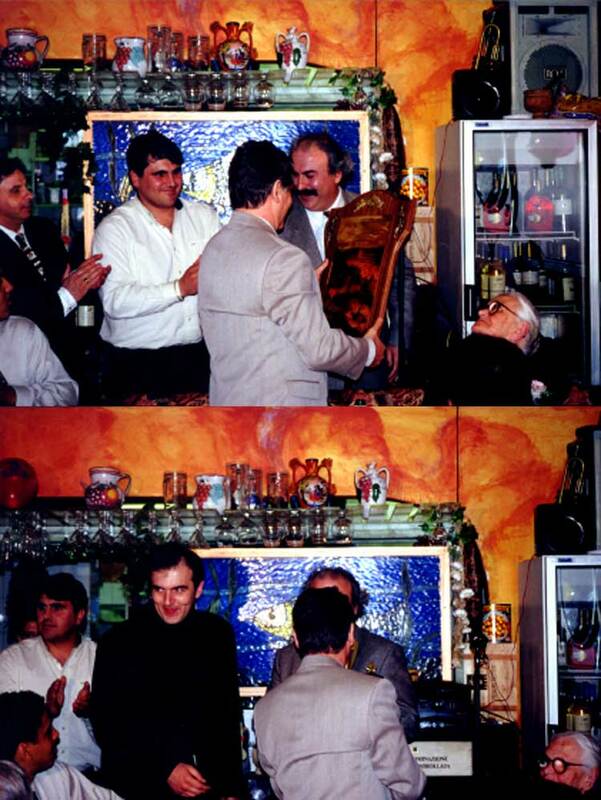 In 1997, Mr. Goudas receives the Best Label Award, as a recognition of hard work and quality of design. Picture on top: Mr.Goudas, surrounded by proud employees and family, admiring the award in his hands. Picture below: The artist/designer Rafael proudly smiling. 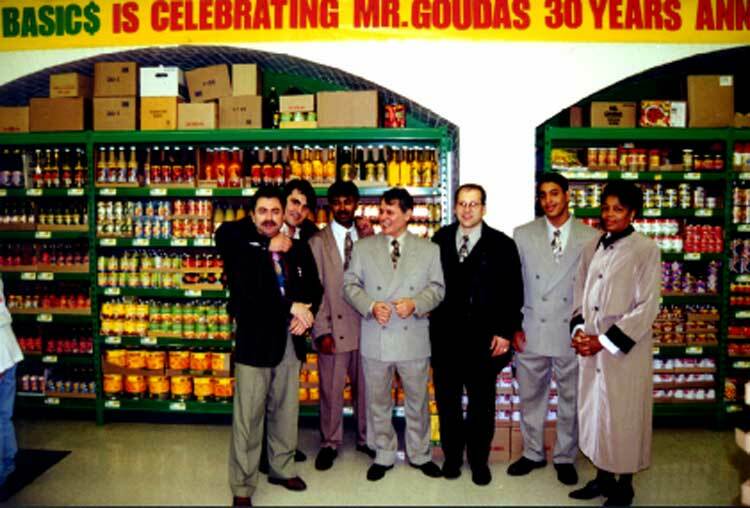 Food Basics Celebrates 30 Years of Mr.Goudas! Mr. Goudas and employees celebrating with Food Basics staff the 30 Year anniversary of Mr. Goudas products displays in the store. You can see clearly the shelves filled with Mr. Goudas products; Food Basics carries a wide variety of these products to this date. Hi! I really like your website! It's very colourful and appealing. On the first Guyana page I can't seem to see anything past the section on Georgetown, it cuts off mid sentance... This might be an ignorant question, but I will ask it anyway. 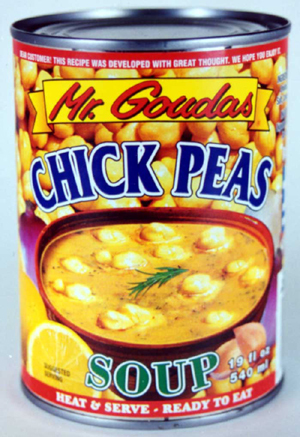 Am I correct in assuming that Peter Goudas (Goudas Food Products) is a Guyanese man? He does not seem to have a web site, and I was wondering if you or someone you know could tell me more about him. I love to cook West Indian food and I find that in London you really have to drive far to find a West Indian Grocery, but amazingly enough some stores manage to carry Goudas products, and I use them extensively. Exclusive interview with Multicultural Food producer, Peter Goudas. "My name is Guy Chopping and I was born in India. I was told that a band named the Jewels of the Indies were to be performing at Caribana. 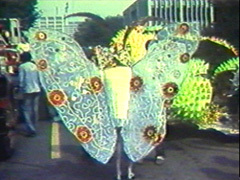 I had never heard the name Caribana before nor had any person I asked from my part of the world. I happened to be lucky enough to be in the office of Mr. Goudas and asked him the question. "What is this parade they call Caribana?" During the next twenty minutes I was offered a trip back in time, and on the way to his film library he told me that this was not just a parade but the most magnificent display of multicultural talent and effort in North America..."
At the time that Mr. Goudas decided to make Spaghetti and Tomato Sauce in the can, he thought, with the product being so wonderful, that he should place the picture of a kid eating spaghetti on the label. The face of the child on the can is Katharine Sprague, the daughter of the co-owner and partner of Mr. Goudas in the canning industry. They both decided that would it would be a great idea to have her image incorporated into the label of the product due to the fact that she had a beautiful face. Unfortunately, on March 2, 1998, there was a car accident. The resulting collision caused an instant fatality for the female driver of the other car involved. On the other hand, little Catherine, was left unconscious had a severe concussion, and was hospitalized. Naturally, we all prayed for her recovery. One of the sales personnel of Goudas Foods just tied the knot. "The wedding lasts at least 4 hours; there are a number of ceremonies following one another, and each has a special symbolism. For example, in the 8th ceremony, the groom removes the veil from the bride. This is the only moment, after 3 hours, that he can see his bride. What is more interesting is the first ceremony, where the groom and the couple's families are waiting for the bride outside the temple. At some point, you hear music from far away and distinguish a group of people dances in the street. The group gets closer but moves very slowly, as it stops frequently to dance. This symbolizes the journey of the bride coming to meet the groom from far away, villages apart. Of course, the most interesting thing is the role of the wife in the family; the woman is the one that handles the money, and the husband has to give the money to her." 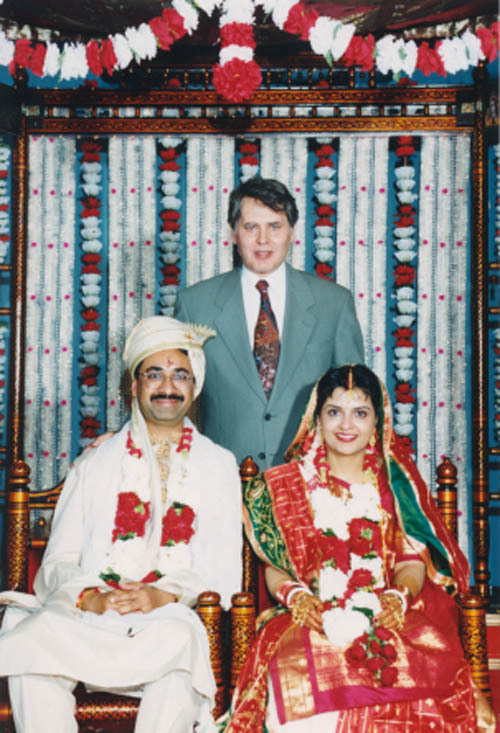 In the picture, Mr. Goudas standing between Mr. Raju Tripathi (groom) and Mrs. Asha Tripathi (bride), inside the Hindu Mandir (Temple), at the Professional Court of Mississauga. Goudas Foods wishes the new couple a long and prosperous life! Irma's Daughter... or maybe not! This is Irma, one of the two dogs Mr. Goudas takes care of; and this is her daughter. You can certainly see the undeniable resemblance: black hair, white paws, white tip of the tail... but have you noticed a small detail? The little one is actually a cat! Well yes, even dogs can adapt, and Irma's story is very touching. Irma found this kitten abandoned and hungry, on the side of the road. She immediately took her in and started taking care of her, feeding her, and keeping her warm. 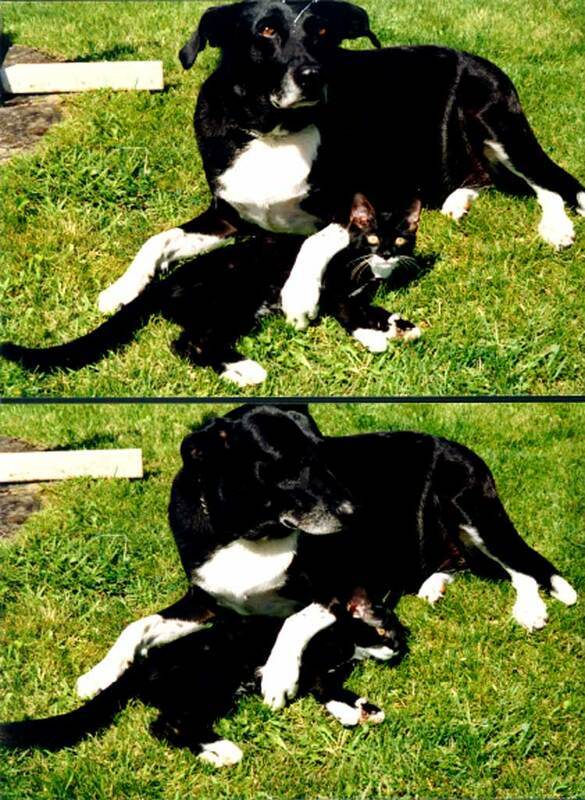 The cat adored her mother-dog, and in the picture, you can see how they are taking an afternoon rest after a cheerful game on the grass. Those two were inseparable; Irma proved to be a great mother, and her daughter turned out to be a beautiful well-mannered lady who now has her own family. Dolmadakia - Ingredients and Commercial! Mr.Goudas has done his wonder again! This time, a delicious Greek recipe for an appetizer is being perfectly prepared by Goudas Foods. This dish has also become extremely popular in many different nationalities. In the heart of the Greek town in Toronto, you can see many restaurant menus listing the item of DOLMADAKIA, which can be ordered with plain rice or minced meat stuffing. 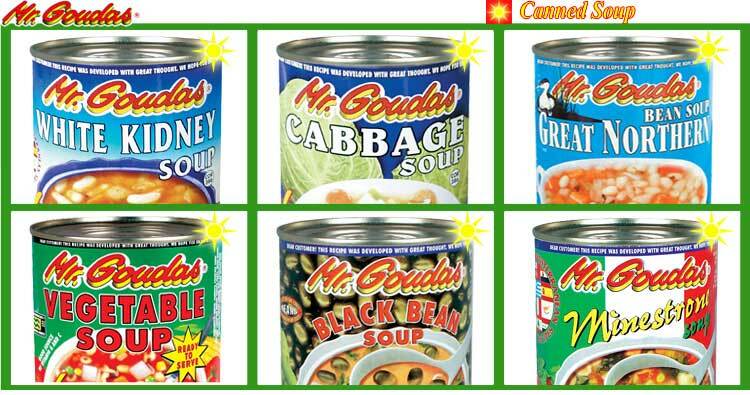 Mr. Goudas has also perfected the DOLMADAKIA product and has canned its goodness. 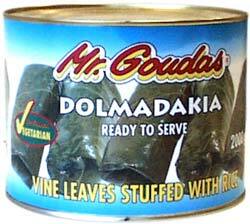 Please check our Ready to Eat section for DOLMADAKIA and other delicious meals in a can. The Dolmadakia dish is prepared with Parboiled Rice. Note: some people preffer to use Mr. Goudas Calrose or Mamma Lucia rice. Since Mr.Goudas has an assortment of Caribbean foods including callaloo, ackees, okra, vermicelli, guava & papaya jam, pepper sauces and many others, he thought it would be a good idea to enhance his variety of products with jerk seasoning. It is one of the main ingredients in Jamaican cuisine. This product can be used to season meats or can simply be brushed on prior to grilling or baking your favorite meats. Obviously, there are many brands in the market, some a little bit hotter than others, some have more vinegar or more scallions. Mr.Goudas developed a new particular recipe that has been accepted from his Jamaican friends. We hope you will enjoy it as well! Is this something you would like to eat or serve to your guests? Goudas Foods is in the process of creating this combination of fruits. And, Mr. Goudas personally, is determined to call this selection, Exotic Fruit Salad. Mr. Goudas decided to develop a website because he wanted to showcase his many videos, articles, and documents. - People new to a different country, facing a new culture, language and surroundings without any friends or any money. - Young people who can learn from our experiences. - Those who are feeling depressed or disappointed, and feel like the world is crashing around them because they are facing a setback due to bad luck or serious injury. - Suppliers around the world who share with us the satisfaction of delivering the best the world has to offer. - Millions of consumers, so they may see the joy and satisfaction we get in knowing that we have done and we are doing the very best. - The competition, which we know will examine this site very carefully. The size of this site is so huge that we had to maintain our own server and create our own Internet operation to accommodate its requirements. Julia Roberts is really in love this time. Did you know that there are now more than 40 Goudas brand soups and ready to eat products created from recipes collected from all over the world? These soups are available at major chain stores like Price Choppers, Food Basics, Commisso's Food Markets, Highland Farms and hundreds of other stores. Check out our Products section for our complete line. Wonder Sauces from Mr. Goudas! Amazing how such a small bottle can make such great wonders! Distributed by Goudas Foods since May 1999, the Red Chili, Oyster, and Sweet and Sour Sauces have brought the most tasteful touch to cooking. These magnificent products have been developed appropriately in Thailand and designed in such a way to satisfy the most distinguished of taste buds. These items are considered number 1 in their category. This new product comes from Kenya and is now available among other Mr. Goudas products. In the picture, the refreshing drink is being demonstrated by staff, accompanied by sampling which is very important when introducing a new product in order to create awareness. This delicious nectar can be served dissolved in water, and it makes a wonderful drink. Wonders of the World: Rambutan with Pineapple! Originally, when Mr. Goudas even suggested stuffing the Rambutan with Pineapple, there was a consensus in Thailand that Mr. Goudas was definitely going mad. The mere idea of pieces of pineapple stuffed into a Rambutan was insane. They questioned the feasibility and expenses of manually inserting a chunk of pineapple into the delicate Rambutan. I would like to tell you a little story about rice pudding. As you probably know, the roots of rice pudding come from Turkey centuries ago, and the tradition goes from generation to generation, to generation, where it finally arrived in the hands of my Mother, who happened to be from Smyrna, Asia Minor. Maybe some of you know what happened in l921 in Asia Minor (if you do not know, click on the following links for more information). For a full version of the awards please see the greek page, or visit the archives to watch the award ceremony.